Whether engaging in espionage or breaking into music, this queer musician has always been fearless. 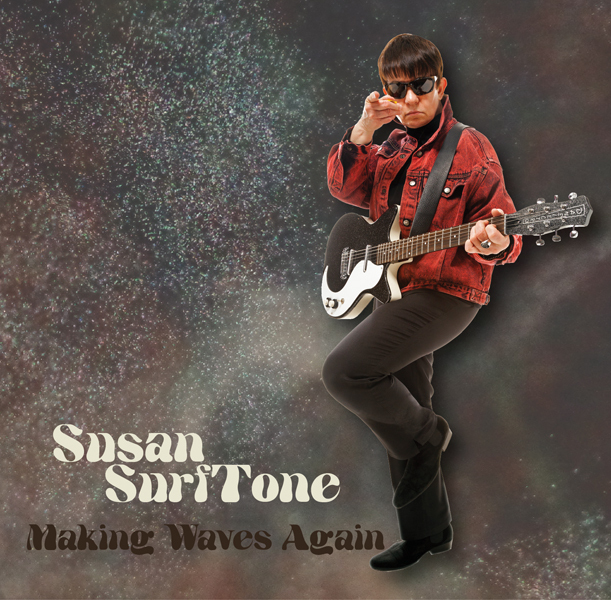 Former FBI agent turned musician Susan SurfTone is no stranger to danger. While in law school she spent time tending bar near Boston's crime-ridden Combat Zone, and then joined the FBI to capture bank robbers, monitor KGB agents and was tear-gassed twice before age 25. However these days, Susan’s career is a bit less fraught with physical peril. After being forced to endure assault and homophobic harassment for the sake of her career while a federal agent, Susan finally left the FBI to pursue her dream of becoming an out lesbian surf-rocker. She's prepping to release a new EP, called Making Waves Again, and has tour is coming later this year; and although her musical genre tends to be straight-male-dominated, she's done hiding in the closet. Now, she's using a lifetime of lessons and musical talent to encourage other queer young women to sing out loud and strong. Surftone's message is particularly important at this moment in American history, and for those feeling demoralized by recent politics that seem to prioritize men’s contributions over women’s. Susan’s endured more than her fair share of misogyny, discrimination, even physical assault; but throughout it, she’s stuck steadfast to her goals and refused to be intimidated. But desk work just wasn’t for her. She happened to spot an ad for the FBI in a newspaper, and was reminded of her childhood trip. 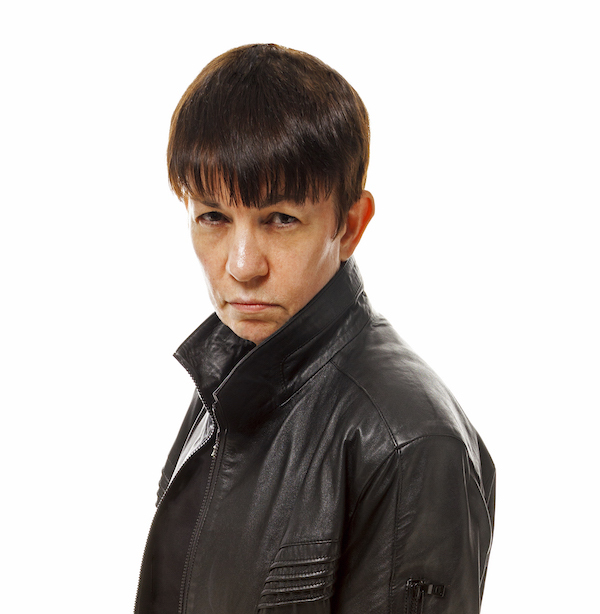 Instead, LGBTQ agents had to employ a measure of detective work to identify each other—although there were occasions when gaydar wasn’t necessary, like the time Susan’s girlfriend dragged her to a lesbian bar, where she bumped into a fellow agent from the Boston office. But typically, queer agents had to keep their private life a closely-guarded secret, on top of the secrets that had to guard for the nation. Making matters worse, she experienced a culture of intense misogyny at the FBI. Male colleagues frequently dismissed her contributions, and she was touched inappropriately multiple times. Nevertheless, Susan’s career was rapidly advancing. She spent six months doing background investigations, then moved on to robberies and burglaries. But all the while, she had her eye on a transfer to New York. “I wanted to work for counter-intelligence,” she said, and before long she was. “We would identify Russian agents, and we would keep an eye on them. They were trying to get recruits,” she said. But although she felt a deep sense of pride in her work, the closet weighed heavily on her. “I was always afraid of being outed, and if I'm outed I would lose my job,” she said. She talked it over with her FBI supervisors, but they strictly forbade her from forming a band while she worked for the bureau—she could be “compromised,” they said. That presented a tough choice, but the secrecy, her longing to create music,and the ongoing misogyny she felt from her colleagues showed her that this path was clear. And so she left, recruited a female singer, and assembled a band. They played at various prominent Manhattan venues—“people said we sounded like Blondie, but the singer sounded like Cyndi Lauper,” she laughed—and because Pulp Fiction had just come out, audiences were hungry for surf music. She signed with a label and toured Europe, open and out and far more comfortable than she ever felt at the FBI. These days, music is her top priority; and though many of her original songs are lovelorn laments, she finds politics creeping into her new work, as well. She paused, but her voice didn’t waver. She simply maintained the strong, matter-of-fact tone that characterizes her fearless approach to life, whether it’s breaking into music or engaging in espionage. “I think a lot of young women have to look at their place in this country and try to realize what they're still up against,” Susan said. “And if I can give them a role model, I'm more than happy to."